Based in Headingley, Ecco Pizzeria serves up some of the most authentic Neapolitan pizza you’ll find in Leeds. 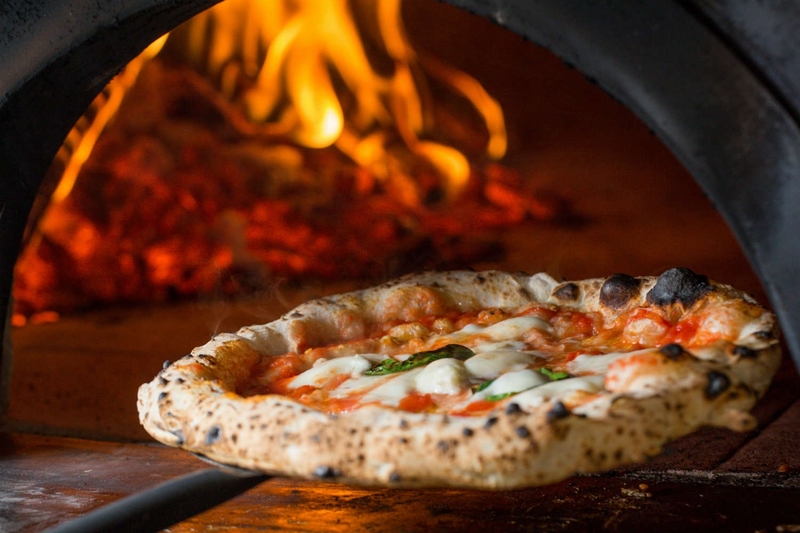 Cooked in a wood fire that burns at over 800 degrees, the pizzas created here are inspired by the streets of Naples and with ingredients imported from Italy, it’s almost like you’re there! 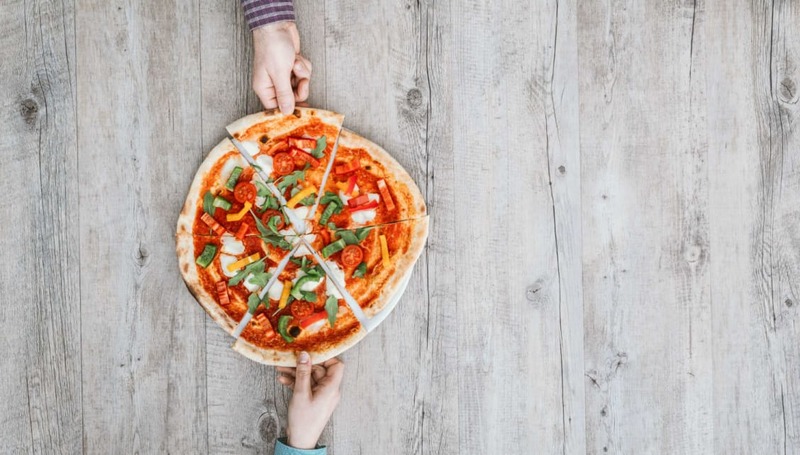 Served by the ½ metre, you can choose the classic Marinara pizza, 4 Formaggi, Vegetali and more! There are also a selection of pizzas inspired by countries and cities around the world including Kuala Lumpur, Marrakech and Hong Kong. Dough Boys, located in the ever popular Belgrave Music Hall and Canteen, is the perfect spot for a quick bite to eat when you’ve come to meet your friends and family for a catch-up. Served by the quarter, these pizzas come in a whole variety of flavours including the Queen Brie – French brie, caramelised onions, roasted red grapes, black pepper, and smoked sea salt – and the Baa No More which is a pizza topped with Middle Easter spiced ground lamb, pine nuts, pomegranate, pecorino and baby red chard. Sunday to Thursday 12pm to 7pm, and Friday and Saturday 12pm to 5pm you get half-price slices – perfect if you’re visiting Leeds on a budget! Pizza Fella started as a street food van selling slices to the people of Leeds form a converted Citroen H van, complete with a wood-fired oven. They sold their pizza at street food markets, weddings and festivals and have now set up their own permanent outlet on Vicar Lane in Leeds. 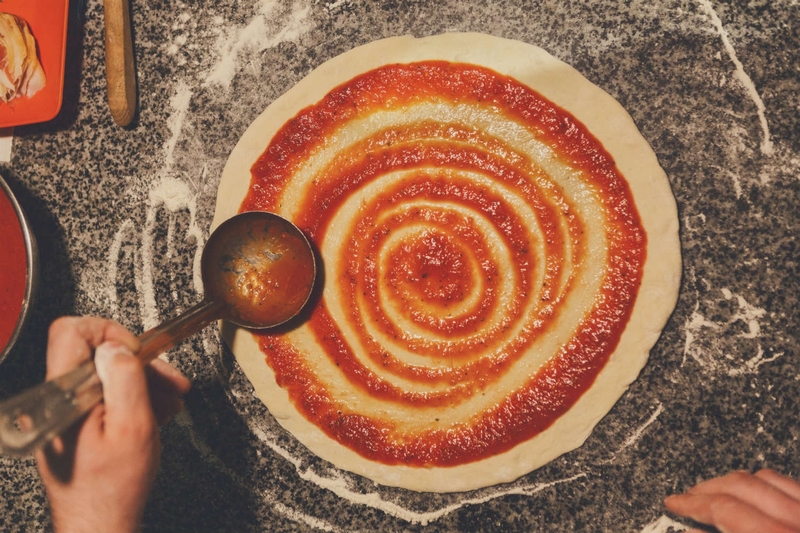 Their dough is made of 4 ingredients – Caputo flour, Yorkshire water, salt, and yeast – to create an easy to digest, floppy, Neapolitan style pizza. Tables are allocated on a walk-in basis but if it’s busy, they’ll take your number and let you know as soon as there’s a table free! Another bar that serves up pizza alongside a selection of great drinks, Sela Bar. You might come here for the chilled environment and the live music but you’ll keep coming back for the pizza. These stone baked pizzas are served every day until midnight and you can choose from The Porker, Margherita, Spinach and Feta, Mediterranean, Pepperoni, Meat Feast or Chorizo. Grumpy’s is a little bit out of town in a village called Farsley but it’s worth the journey. This family-owned business is fairly new to the Leeds food scene but has made a huge impact with the local area. Again, like a few other places in Leeds, Grumpy’s cooks their pizza on a wood-fired stove meaning you get your pizza in minutes. You can get 25% off pizzas that are ordered for collection every Tuesday and they also have a monthly quiz on a Sunday – keep your eye on their Instagram and website for more information! For a super quick pizza, head to MOD. Just pick your base and add on whatever toppings you fancy. You can choose from one of their recommended combinations or you can go wild and create your own personalised pizza. It’s quick, it’s fast, it’s delicious and you can even get it delivered if you’re having a lazy evening in! Waterlane Boathouse is one of the most popular places in Leeds to enjoy a drink when the sun is shining. Located by the canal, the setting is super chilled and now you can get a pizza from Small Victories bakery without having to go into town. They make their sourdough pizza dough from scratch and serve with delicious toppings that will complement your evening drinks perfectly! Located on Wellington Street, this pizza place is tucked away below a little wooden building with a red pizza truck outside. Creating Neapolitan-style pizzas, this place is great for going out for an evening meal with family or friends and the fact that it’s walking distance from Roomzzz Leeds City makes it super convenient too. Do you have any more recommendations for the best pizzas in Leeds? If you do, let us know! Don’t forget, if you stay at a Roomzzz Aparthotel, use #Roomzzz on your social posts for the chance to win a free night at a Roomzzz Aparthotel location of your choice!